All I can say is NaNo was a total blast this year. And that fun isn’t just about success. It’s also a lot about sharing a process with you fellow writers–struggling, failing, digging deeper, carrying on, making it work, facing the beast–and being a part of something bigger than myself that made it so fun. I still have another 50k or so words to write to complete this year’s NaNo MS, but I’m already thinking about next year–and all the fun I’m going to have in the interim, making this story shine, seeing how far I can push it. I think it’s totally appropriate that Thanksgiving comes in November, the same month as NaNo, because I am again reminded how thankful and grateful I am to be a part of this community of writers. Life is short, and sometimes we need to stop, take a look around, and realize how good things really are. This is one of those days. How was your NaNo experience this year? For those not doing NaNo, are you making progress on your own work? Yvonne Osborne said, I wanna say that you've inspired me to try it next year. I'm grinding away at editing and thinking of a query letter… in stolen moments, predawn worry wart that I am, feeling guilty with my stolen moments. Thanks for the reminder that we have much to be thankful for. Angeline said, This was my 3rd year of NaNo, and it just gets better every year! I've done some write-ins and made some great new friends too. Now I just need to keep the motivation going to complete my 1st draft. Joshua said, Next year? I can't think about next year. I'll probably commit next year the same way I did this year: October 31 at 11:50pm. farawayeyes said, It is a Perfect Day here in my corner of the world. In the meantime, gotta finish this puppy up and get her published. I got 334days. I can do it. Right? Tyrean Martinson said, Loved, Loved, Loved NaNo This year, and even though I didn't officially join the NaNoWriMo Video songfest, I found myself unable to get the Queen song, "We are the Champions" out of my head yesterday. Way to Go NaNoWriMo Champions!!! Shelley Sly said, Hey there! Found your blog through Nicole's. I've never done NaNo — for some reason, November has always ended up way too busy for me to even think about doing it — but I really hope to participate next year! White List said, Great blog you've got here! Jon Paul said, Yvonne–I'm so thrilled to have inspired you. Looking forward to sharing some good times, and good luck with that query letter. Angeline–Yeah, finishing that first draft is still on my to do as well. Barbara–Yeah, a lot of days to get finished, but I think I'm gonna need them. Wily–See you in 2012, my friend! You know you want to! Shelley–Welcome, and thanks for the follow! NaNo really is a lot of fun, and worth the bother–but yeah, November is busy too. Thanks friends for stopping by. Stay groovy and have a great weekend! DL Hammons said, Congrats on your NaNo success and the warm fuzzies it brought with it! Good luck with the spit shining! Jon Paul said, DL–Thanks, my friend. I actually like the spit-shining part the best! Mia Hayson said, Yayyy! So glad to hear you enjoyed Nano! I'm currently rewriting but I think I enjoyed the community etc more than the word count this year. Can't wait for next November! Also – slightly irrelevant but I want blogger to know this is MIA :-/ My computer is having a funny turn and won't let me comment under my google account. Blahh. Claire Hennessy said, Well done re NaNoWriMo. I have so many friends who participated and finished. So inspiring. Love this video – haven't seen it for ages. Thanks. Jon Paul said, Mia–Good luck with your rewrite. And yeah, I'm learning to relish the anticipation for each subsequent November. Claire–Thanks! The video is one my old favs. I'm happy you enjoyed it. Misha Gericke said, I quit half way through because I'm just not a fast drafter. Still, now I can say I tried it. Milo James Fowler said, Congrats on the progress! I'm planning to dig into my novel-length projects next year. Michael Offutt, Supra-Genius said, I didn't do NANO but followed all the blogs that did. Congratulations on getting a great start. I hope those 50K came easy as I'm posting this comment late in December. I look forward to reading an update. oceangirl said, Congratulations and Happy New Year! farawayeyes said, Just checking to see if you were around. Hope you're having a great Christmas Season and looking forward to a fantastic New Year. I finished the NaNo novel(even w/o your songs o' the day). 2012 will be a journey into the realm of 'slash and burn' and 'polish and spit shine'. 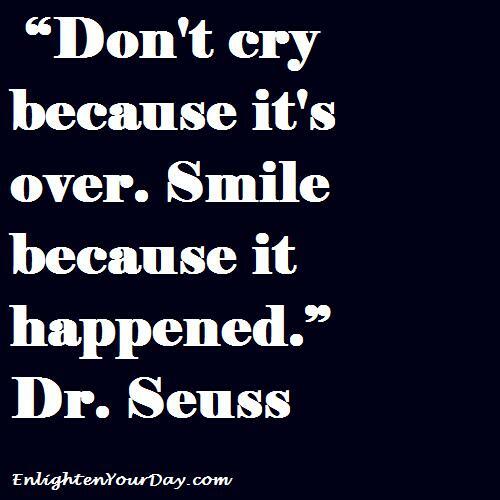 Aguilar Elliot said, love the seuss quote. love most of his quotes! !